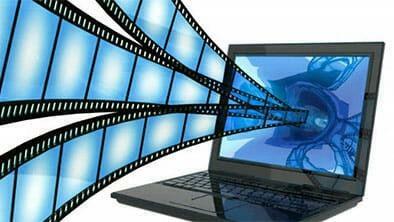 Over the last 20 years, streaming videos has become the norm and is now the main way that people watch TV or movies. However, streaming videos online comes with inherent risks and depending on your location, you may be locked out from watching your favorite shows. Luckily, there is a way you can still enjoy your favorite shows securely from anywhere in the world. By using VPN for streaming, you will be able to bypass geo-restrictions, enjoy secure streaming and avoid the pitfalls that come from streaming video unprotected over your ISP. The easiest way to avoid many of the problems associated with streaming videos is by using a VPN. VPN is an acronym for Virtual Private Network. A VPN establishes a secure internet tunnel that you can use to stream videos and use the internet securely. VPNs are simple to set up. First, sign up for VPN and install the app on your computer or mobile device. Then select a server and connect. The VPN app then connects to the VPN server and establishes a secure tunnel. It then assigns an IP address from the server to your computer, making your computer appear to be from that country. For example, let’s say you’re in Germany and want to use a VPN for streaming movies from the US. You connect to a US VPN server and your computer is assigned a US IP address. The streaming server will now see you’re in the US and will unlock the content. By using a VPN for streaming, you’ll enjoy the ability to get around geo-restrictions from anywhere in the world. In addition, all of your internet traffic will go through the VPN server. This will prevent your ISP from throttling your connection for streaming too much data. ExpressVPN always stands above the rest when it comes to the VPN service industry making it what we believe to be the best streaming VPN. Their reputation is second to none for customer service, and their connection speed and reliability is solid-perfect for streaming videos. The last thing you want is choppy playback, especially if it’s a service you’re paying for, like Netflix or Hulu. If you’ve never used a VPN service before, and are a little intimidated by the idea, this may be the best company for you to start with. Their software is incredibly user friendly, and can be used on any WiFi-enabled device you may be watching on. If you do get stuck, their customer service team is available 24/7 through live chat. You can expect a quick answer through e-mail too, with average response times around 30 minutes. As if that wasn’t enough, they offer a 30-day money back guarantee, so there’s no excuse for buyer’s remorse. Plus, if you use their service and love it, you can refer a friend and both of you will get 30 days of service, totally free. Their encryption service is top-notch as well, and they never log their users’ data, so you can rest assured that your privacy is totally guaranteed. With server locations worldwide, chances are you’ll be able to use their service no matter where you’re streaming from. For the best video streaming, sign up with ExpressVPN here. NordVPN gives you unprecedented access to video streaming. Their network of over 3,500 servers makes them the best VPN for streaming. You can easily unblock streaming websites, giving you access to over 400+ streaming services worldwide. If you need a VPN for video or streaming, this is definitely a service you should check out. Their automatic SmartPlay feature ensures that you have the best quality streaming experience possible. NordVPN costs $11.95 monthly, but you’ll enjoy massive savings with a long-term contract. Their annual plan is just $6.99 per month. If you want to save even more, sign up for their two-year service at only $3.99 monthly. You can connect up to six devices at once and each plan comes with a no-risk 30-day money-back guarantee. PrivateVPN is engineered to be the fastest VPN for streaming. Their “High-Quality Network” makes them the best VPN for streaming TV. With servers in 56 countries, you’ll easily unblock streaming sites. They offer 1-click-setup for Windows, Mac, Linux, iOS, and Android, meaning you can stream from all of your devices. PrivateVPN is remarkably affordable at just $7.67 per month. You can save even more with quarterly and annual plans. Their quarterly plan is only $5.25 a month, less than a combo meal at McDonald’s. For the cost of coffee at Starbucks, or $3.88 a month, you can get a year’s service with an additional month for free. All plans come with a risk-free 30-day money-back guarantee. If you’re in an area where you just can’t seem to connect to an ExpressVPN server, IPVanish is another really solid option to try. You really shouldn’t feel like you’re getting second best with IPVanish, either – their VPN streaming speed is just as fast as ExpressVPN’s, so you’re never waiting on videos to load, or stuck in a buffering cycle when you’re streaming a movie. Like we said, it’s a reliable choice, and you might even prefer it to the likes of ExpressVPN. Plus, with unlimited bandwidth, you never have to worry about hitting a monthly cap – it’s one of the best VPN streaming we’ve come across, as you can literally stream to your heart’s content. IPVanish’s customer support isn’t bad either. For customers that may be new to the idea of using a VPN, you can usually count on IPVanish to get back to you within 24 hours. Plus, they have a 30 day money back guarantee, so you’re not out the money if things don’t work out. The only major downside (that may be a deal breaker for some) with IPVanish is that their software isn’t compatible with iOS. So people streaming on mobile Apple devices will have to find another option. CyberGhost is considered by many to be the best VPN for streaming TV due to their massive network of over 1,300 servers worldwide. You’ll easily unblock sites and enjoy top online streaming security with hidden IP addresses. Their service also blocks malicious content, which makes them the best VPN for streaming Kodi or other “gray area” online streaming sites. Cyberghost’s monthly plan is $11.99 a month, but they offer insane deals for long-term contracts. Their annual plan is just $5.99 a month. If you can sign up for 18 month of service, you’ll save 68% and pay just $3.79 monthly. Their 3-year plan is their best deal at just $2.75 monthly. All contracts come with a 30-day money-back guarantee. We’ve thoroughly tested dozens of VPN services to help you find the best VPN for streaming. When reviewing services, we don’t just look for services that will allow unrestricted access to streaming sites, but also sites that will keep you secure while binge-watching online. Here’s a short list of “must have” features of each VPN service we recommend. Hidden IP Addresses – Services must guarantee that your IP address is hidden with a dedicated address or with a shared address that is untraceable back to your home PC. No Logs – Service must not keep logs of any type. Otherwise, you risk the service turning your activity over to authorities. No Data Restrictions – In order to find the fastest VPN for streaming, you need a service that has no data or bandwidth limits. Large Network – When looking for the best VPN for video streaming, you want a service with a large network so you can get around any global geo-restrictions. Cross-Platform Compatibility – Most of us use multiple devices, so you want a VPN that can work on your PC, laptop, mobile devices and more. In the early days of the internet, if you wanted to watch video online, you had to download the video and then watch it. However, technology began to advance and by the late 1990’s, streaming videos began to become the norm. With streaming videos, people could watch movies, TV shows, and videos on demand without using hard drive space. Soon, streaming TV and movies began to become the primary way for people to watch TV and feature films. Services like Netflix and Hulu enjoyed massive growth as people began to cut the cord from standard TV and Satellite in lieu of the convenience and cost savings of streaming. Nowadays, most everyone streams content on a regular basis. Sites like Netflix, Amazon, and Hulu are popular choices for those wanting on-demand TV and feature films. Sites such as NBC Sports, Showtime TV and the WWE allow you to stream live and pay-per-view sporting events. There’s also a myriad of third-party streaming sites that offer a wide array of live and pre-recorded content. This includes services such as Kodi, Popcorn Time, and TVMuse. In a perfect world, you would be able to access all your favorite shows and streaming content from anywhere in the world. Unfortunately, that’s not always the case. However, if you use a quality VPN while streaming, you will be able to binge watch your favorite shows safely and securely from anywhere. What Are the Risks of Online Video Streaming? Streaming online video seems fairly risk-free on the surface, but there are a few potential problems with streaming videos. Some ISPs will throttle or slow down your internet connection due to too much streaming. If you use an ISP with a data cap, you risk being unable to use your internet service for a while. There are also risks involved when using “free streaming services” such as Kodi, Popcorn Time, and others. Since these types of sites serve copyrighted materials, you may be breaking the law which can result in having your internet service terminated or even slapped with a lawsuit. Finally, if you are trying to access content in another country from your own, you risk being unable to access the content due to geo-restrictions. Only those physically located in that country will be able to view the content. When using a VPN for streaming, there are two types of streaming services you will find online. The first is your legal services such as Netflix, Hulu and Amazon TV. Then there are pirated sites that fall into legal “gray areas” such as SolarMovies, TVMuse, and KissCartoon. Regardless of which you use, there are issues that streamers will face at some point. For legal sites, the primary issue that streamers face is geo-restrictions. This means that some content will be blocked based on your physical location. For example, you cannot get to BBC iPlayer from the United States. If you’re outside of the US, you cannot access US Netflix. If you’re using a pirated streaming site, you won’t face geo-blocks but you put your computer a risk for other threats. Since you don’t know who is running the site, you don’t know if the site is trying to hack your computer or trying to infect it with malware. You’ll also often face malicious ads and frequent pop-ups on these sites. Worst of all, these sites are always monitored by anti-piracy groups and you put yourself at risk for criminal prosecution by watching pirated content on these sites. Free VPN for Streaming – Is This a Good Option? While it is understandable that you want to save money, using a free VPN for video streaming is a bad idea. The reason is that of the numerous restrictions placed on free services. Many services outright block access to streaming sites. If you’re lucky enough to be able to stream, you’ll probably only be able to stream lower quality video due to speed restrictions. In addition, almost all free services have hard data caps which severely limits the amount of data you can stream. Binge watching even a short season of a show like Santa Clarita Diet will likely use up your data cap for the entire month. In some cases, a service may discontinue your free service for using up your free data too quickly. You get what you pay for with free VPN, which isn’t much if you’re a streamer. It’s no secret that one of the great online pastimes is to watch videos online. With the wide range of choices for entertainment through streaming services like Netflix, it’s no secret that the entertainment industry has made the jump into cyberspace. However, with that transition has come the loss of much of our viewing privacy. We all use passwords to access our accounts, and credit card numbers to pay out monthly premiums, making even just logging in to watch these videos a risky business. By using ExpressVPN, we can guarantee our privacy by encrypting all of our information, and using a personal network to escape from prying eyes making it the best VPN for streaming. With particularly fast and reliable connections through the VPN, our privacy is protected, and our viewing experience need never be compromised. There is a general problem with streaming UHD movies via any VPN. The best speed you can hope to get is 20Mbps (and that’s a pretty forlorn hope). But 20Mbps is the minimum requirement for streaming UHD and 50 Mbps is recommended. So If you’r thinking of streaming UHD via VPN, don’t bother. In our review for NordVPN https://securethoughts.com/nordvpn-review/, for example, we have tested the speed of NordVPN and we got 40.16 Mbps, connecting to a server in the US dropped the speed to 23.95 Mbps tho. ExpressVPN have significantly better results https://securethoughts.com/express-vpn-review/ , we got 84.15 Mbps download and 19.19 Mbps upload on a 100Mbps home connection. Please note that those tests where done on a regular home connection. The streaming speed will change depending on many factors, the best advice I can give you is to try multiple VPN providers, all the VPN providers that we recommend here have a 30-day money back guaranty, some have free trial as well. If you decide to test those two brands, I would love to hear what your results are with their server/speed and to what service you tried to connect and from where (General continent is enough if you do not feel comfortable telling here in comment section where you are from, I would not tell). I am using purevpn its working fine without lags and popups.